Winter Fest is a great family event that features many outdoor recreation opportunities and education booths. It is hosted at the Kickapoo Valley Reserve near La Farge, WI. We will be onsite with our pack llamas offering mini-hikes and selfie ops for those attending. There are camp fires around the property to warm up, horse drawn sleigh rides, falconry demonstrations and llamas, llamas, llamas! This is an SSLA sponsored double ILR-SD, double ALSA show that earns double SSLA sweepstakes points. Judges are Tami Lash and Tricia Sneebarger. Please join us,Mark & Susan Smith, as we celebrate our 25th year raising and breeding llamas. The sale will be conducted by Justin Timm Auction Services both online as well as live at our farm. The farm opens on Friday March 22nd at 2pm to ??? to view the llamas, enjoy refreshments and Hoosier Hospitality. Farm opens at 9 Saturday morning, lunch provided a 1 and the sale will start at 5 PM EST on March 23rd. Hope to see you here! MLM is a double ILR halter show, single ILR performance and fleece show. Also includes Prospect Futurity, Sale of Champions and Olympic Futurity. New features include Youth Halter Show and Llama Halter Judging Contest. This is double ILR-SD, double ALSA halter show. There will also be a futurity and showmanship classes. This pack trial is a PLTA event offering basic and advanced course each day. A double point ILR sanctioned show in conjunction with a llama auction during the AgFest at the Oregon State Fairgrounds. Besides the ILR show, there is an open show for those llama enthusiasts who want to show but are still new to the idea. 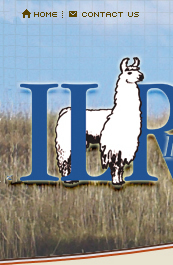 ILR sanctioned llama show with a full slate of halter and performance classes. Judges: Terese Evenson, halter; Mike Haumschild, performance. Coshocton County Fairgrounds, Premiums paid & ribbons.Concession stand available. Silent auction-feel free to bring an item to donate. Fun filled show where hearts and halters come together! Showmanship, Performance and Walking AND Shorn Fiber classes will be held on Saturday. Halter classes will be held on Sunday. 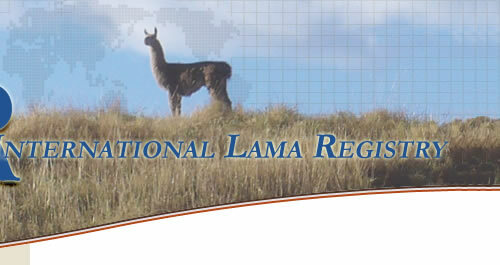 This is an SSLA sponsored, ILR-SD/ALSA sanctioned llama show. Judges are Mike Haumschild and Cynthia Ernst. Dual Sanctioned llama show serving as a fundraiser for the Allen County 4H Llama Lovers. The Llama Lovers are raising funds to build a Barn at the Fairgrounds. Halter & Showmanship on Saturday - Performance on Sunday. Stalling will be available but you can show out of your trailer you are coming for one day or the other. See our Facebook event for details. Celebrate National Llama Appreciation Day with us at the All American Youth Jamboree! Sanctioned shows, workshops, vet seminars, fiber show & clinics, auction, photo show, poster show, allstar challenge, jackpot obstacle, Take-A-Chance Showmanship and Take-A-Chance Halter class, cash premiums and prizes! See you there! 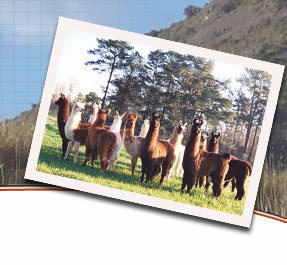 The Greater Appalachian Llama and Alpaca Association (GALA) has initiated a national campaign to educate the general public about the history and virtues of llamas. We have designated June 21 for this special day because our summer solstice is simultaneously the winter solstice in the Andes, the ancestral home of the llamas. Plan an event this June to aid in this campaign to educate others on this wonderful animal. Time: Show begins at 9 am. Focus on fun! Summer Fling -Vancouver - 2019 is an ILR Sanctioned show scheduled for Sunday, June 23 at Heritage Farm in Vancouver, WA. Classes include Performance, Non-breeder Halter, Youth and Showmanship. Perfect show for novice and advance llama and alpaca exhibiters. This will be a double point show with an ILR judge and UAP judge. We look forward to seeing you at this family friendly event! The Gathering of Friends and Champions is pleased to, once again, be held in conjunction with the LFA National Show and Sale. We're excited to hold this event at the Iowa Equestrian Center in Cedar Rapid, Iowa. Judges are: Ali Soukup, Tricia Schneeberger, Mary Jo Miller and Margaret Henry. Visit http://www.ilrsdthegathering.com/ for updates regarding the show! See you in Cedar Rapids!! Double point halter***Single point performance***Single point fiber show. Judges for performance and halter are Cathie Kindler and Mark Smith. Fiber and showmanship judge is Patti Morgan. Over $6500 in premium money - youth judging - Ohio 4-H classes - ground driving - costume class - string pack - novice and advanced performance and showmanship for adults - silent auction - free stalling - great ventilation....... July 18 - 20th at Ohio State Fairgrounds in Columbus, Ohio - before the state fair actually starts! Registration forms can be obtained by calling the ILR Office at 406-755-3438. Come learn about llamas and see our line up of studs and animals for sale. Walk a llama and shop at the vendors. GALA's the largest educational conference in the country. Learn a lot in one short weekend. This year features Temple Grandin, John Mallon, Stan Ebel, Annie Peters and over 50 offerings of sessions in medical, training, fiber and herd management. Fleece Show at the GALA Conference. The biggest educational camelid conference in the country with over 55 sessions to choose from in fiber, medical, training and farm management. Featuring Dr. Temple Grandin, Annie Peters (CEO of Pet Partners), John Mallon, and Stan Ebel to mention a few. A conference not to be missed. Great for newbies and "old timers" alike. Half off conference fee for first timers.